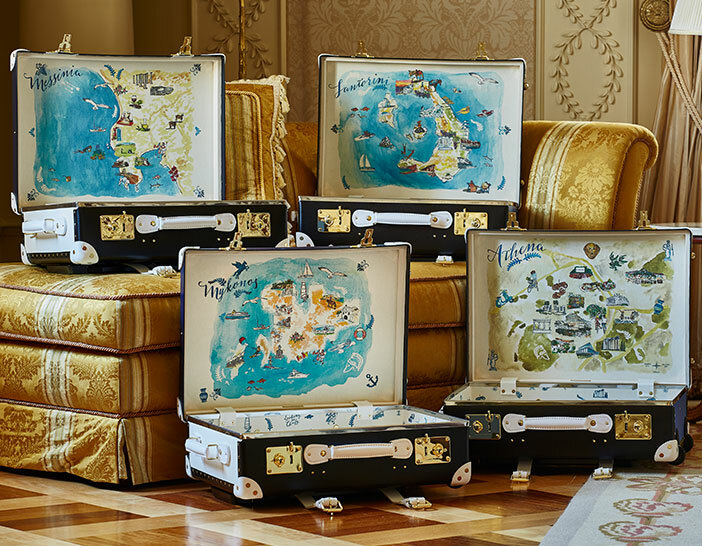 Designed by Sofia Sanchez de Betak, exclusively for The Luxury Collection, our new suitcase collection will inspire your next memorable rendezvous. 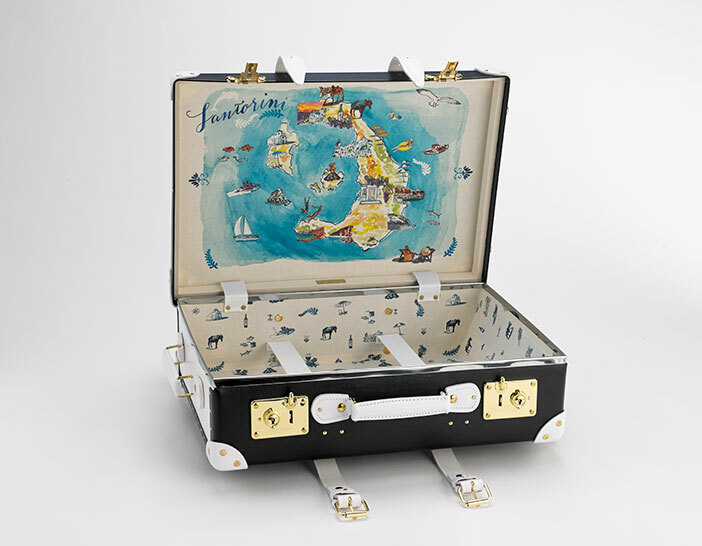 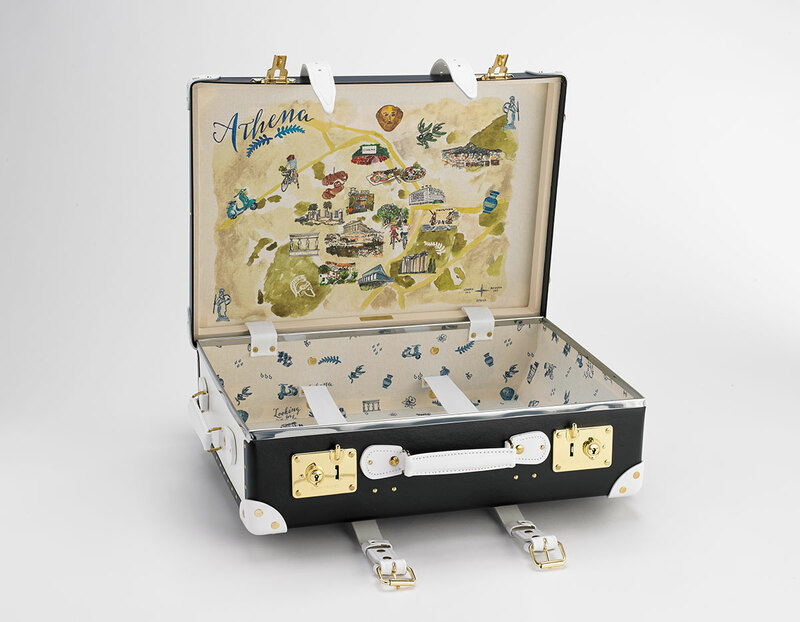 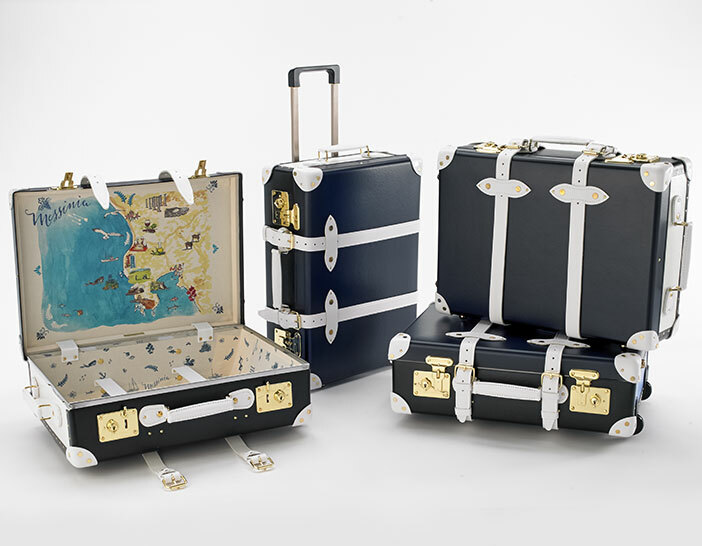 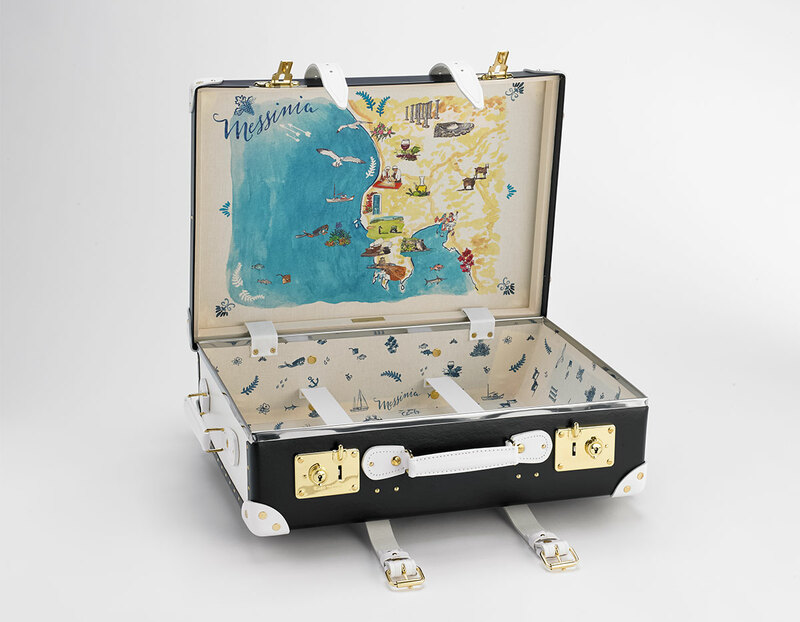 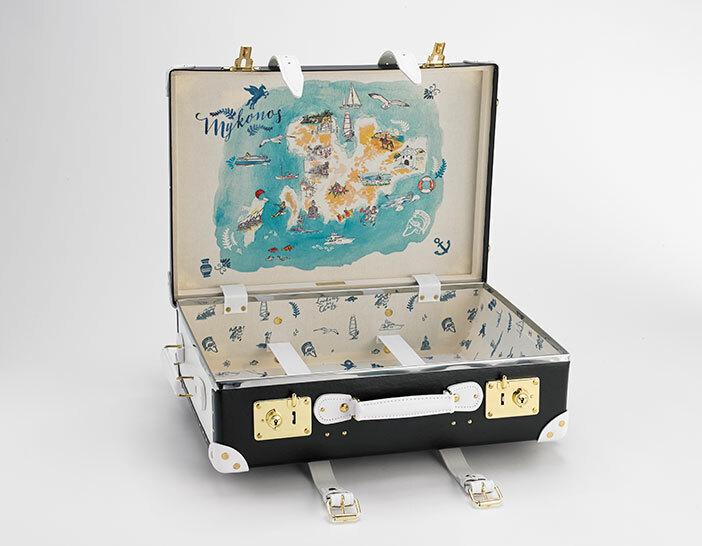 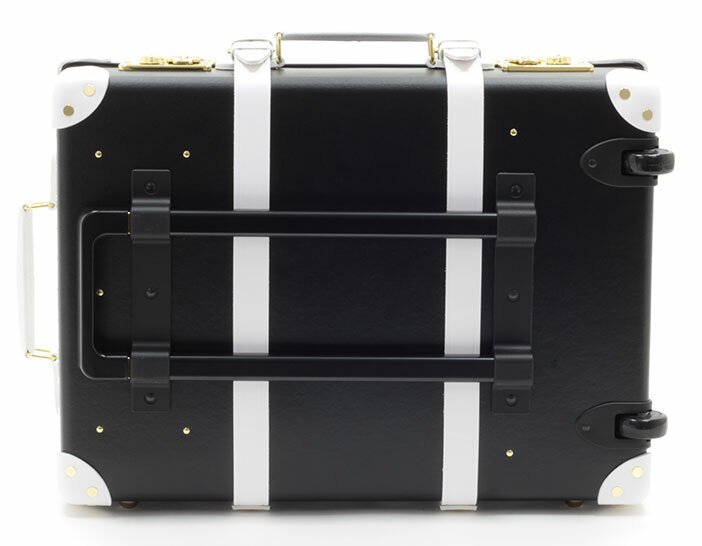 In collaboration with British luxury luggage brand, Globe-Trotter, this luggage features shades of blue and white, accented by touches of black as well as Globe-Trotter’s iconic handmade leather trim and gold hardware. 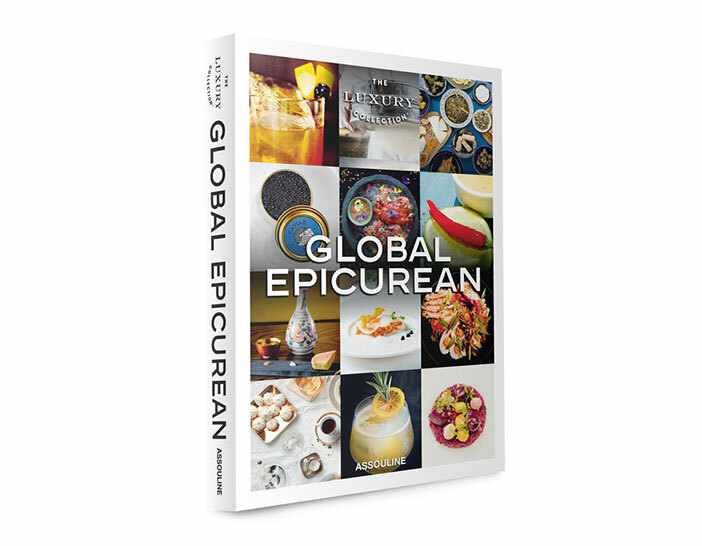 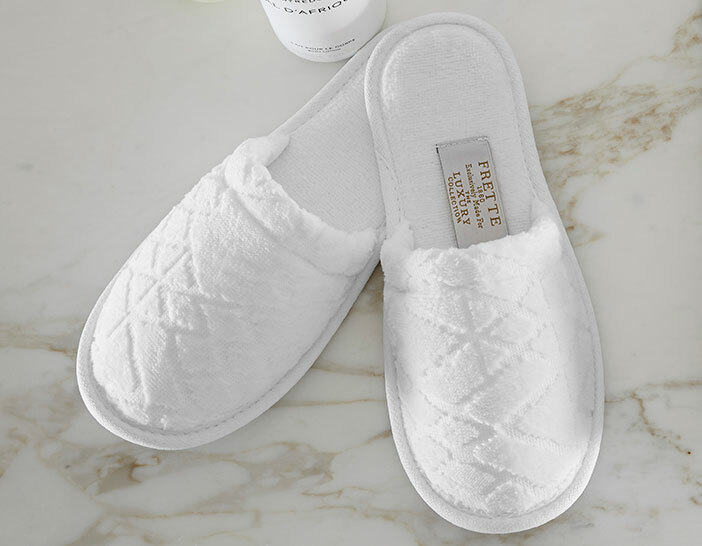 The interior of each piece is lined with cotton linen and features a colorfully illustrated scavenger map of one of four destinations, inspired by Mykonos, Athens, Santorini, and Messinia.